Fenway Sports Group (FSG) have come under criticism in recent weeks as Liverpool crashed out of 2 cups and drop to 5th in the table. 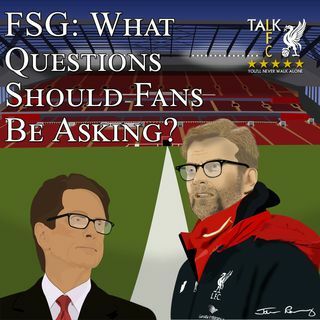 On this show, John discusses the background of the sale of Liverpool Football Club, the court documents and what should be taken from them and looks at the bigger picture of what has and hasn't been achieved under their ownership. Unfortunately Tom, I feel wages will continue to be the biggest reason we will not attract the calibre of player required to mount a challenge on the Premier League. Apologies. I meant to say that we beat Cardiff City in the cup final and not Swansea.